to sign up to volunteer for this year's event. Here are the aid station captains for the 2018 race. Thanks to our Amazing Volunteers!! 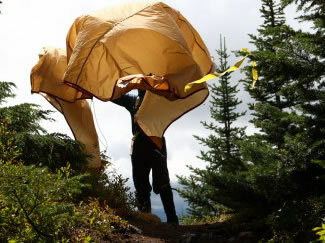 An event like Cascade Crest would never happen without the help of countless volunteers. This includes race organizers, trail workers, course markers, aid station workers, HAM radio operators, and the Easton Volunteer Fire Department. Email us at volunteering@cascadecrest100.com to secure a choice spot at this year's event. Thanks! !